Open Source Software: A Serious Option At Last? 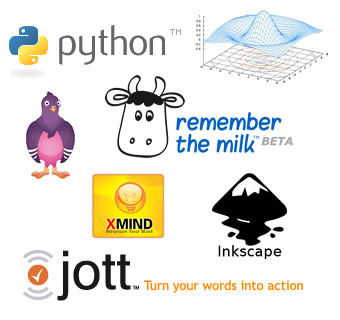 I am increasingly impressed by what open source (OS) software communities are offering. Not just in terms of the sheer range of applications, but by their quality too. That’s an observation vindicated by the recent award of DoD 5015.02 Records Management Certification to Alfresco, according it the kudos of being the first open source product to demonstrate compliance with the strict DoD 5015.02 STD specification for records management. That’s a significant achievement even Microsoft can’t match. If you visit the Mecca of OS developers, Sourceforge, you’ll find hundreds, if not thousands, of little niche applications of the sort often found on computing magazine cover-CDs, which will be of great use to some, but of no interest to most. But bear with them. Like any jumble sale or bric-a-brac market, you have to plough through the dross to find the jewels. One particular jewel I am playing with at the moment is VirtueMart. VirtueMart is an OS online e-commerce application, allowing anyone to set up an online sales presence at an incredible level of detail and functionality. It runs under the OS Joomla! CMS, which in itself is a jewel. Although one has to give an equal plug to Mambo, the original OS CMS project from which Joomla! forked some five years ago. Both VirtueMart and Mambo utilise the LAMP development and deployment environment – Linux, Apache, MySQL, PHP – although I’m using the Windows variant WAMP. All of these entities (if that’s the right term) have numerous attributes which need to be configurable, depending on what you’re selling. The VirtueMart developers, all of whom have given of their time and expertise freely, have done a really impressive job. Might they have done even better, I wonder, if KO professionals had been prepared to donate their expertise? In the course of sifting through Sourceforge, I discovered a number of applications relevant to KO. I shall be featuring these over the next few weeks in our KOOLTools section, as and when I have the time to test them. Bookmark it.